In September, DJI introduced a new Pro brand targeted at professional photographers and videographers. Details about the brand were slim when it was first revealed, but the company is back with more information on its newly launched DJI Pro website. ‘DJI Pro is dedicated to professionals using DJI’s advanced aerial and gimbal technologies, such as the Inspire and the Ronin series,’ the company said in a statement today. 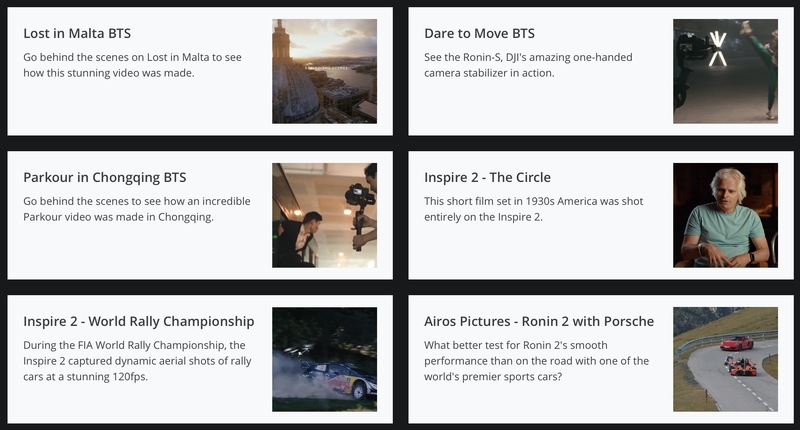 A screenshot from the website showing off a few of the BTS videos detailing DJI products in action. 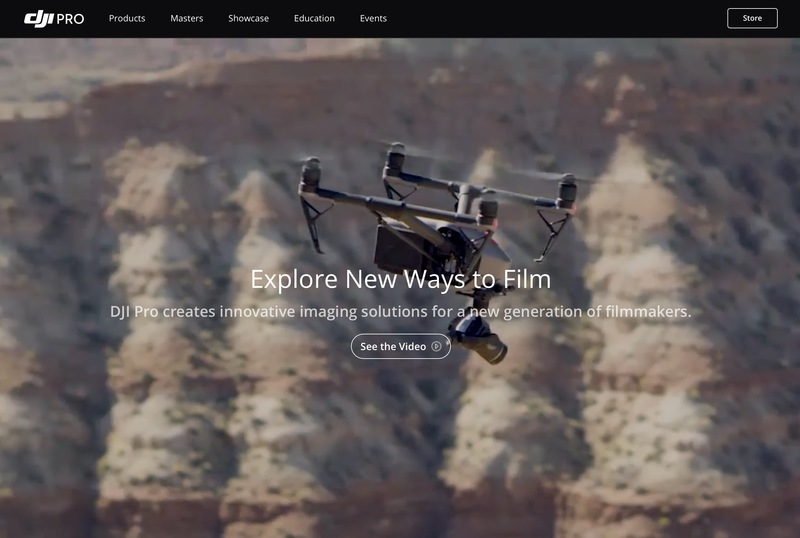 The new DJI Pro website offers content across five categories, including product education, product information, examples of DJI’s hardware being used on film sets, information on workshops and events and the DJI Masters Program. Under the program, users are given the opportunity to learn from experts, including Tom Fitz, Hoonigan Media Machine, and Rufus Blackwell. Since the creation of the first Phantom to the Inspire and Ronin series, DJI has been dedicated to creating intuitive tools for every level of filmmaker. With the launch of the DJI Pro website, we now have a dedicated location where customers can learn about the application of our professional products and we also provide a learning-based platform for users to receive the latest information. We will continue to make more reliable, industry-leading tools for our growing customer base. Tour the website at pro.dji.com to find out more and browse through the content.